But you’ll find answers to the important questions, like, How did he learn to draw? “I’ll bet I have drawn at least five or six billion pictures, mostly of things with one eye, in my life. Most of them stunk, but some came out OK.
Reviewers have used words like zany, quirky, twisted and rowdy to describe his pictures and stories that are also just plain funny and kid-friendly. If you’ve never read any of his books, the video below with Keith reading his Loretta, Ace Pinky Scout (Scholastic) accompanied by the movie theme from The Great Escape offers a fine introduction to his oeuvre. His latest work is the first in a series of chapter books that he illustrated with white colored pencil and acrylic paint on black illustration board. In these video excerpts from a longer interview that he gave for students of the Make Your Splashes – Make Your Marks! course Keith talks about his happy experiment with long form writing and his new series character, Thaddeus J. Hibble. He earned his B.F.A. from the University of Southern Louisiana, studied at the Parsons New School for Design in N.Y.C. and finished an M.F.A. from the University of Texas at Austin. But not before he tackled essential boyhood tasks like building a W.W. II submarine out of cardboard boxes in his (New Orleans neighborhood) backyard, learning to play the guitar and immersing himself in the lore of movie monsters, the hot rod cartoon monster (plastic kit) models of Big Daddy Roth and a particular uncle’s hilarious tall tales about growing up on the bayou. Watch the discussion below for his insights into developing a visual character who rings true. It’s no exaggeration, either — with its insanely good lineup of name authors, agents, editors and a few other top children’s publishing industry professionals. Come meet Patti Ann Harris, senior art director at Little, Brown Books for Young Readers who oversees the design of the picture book list and novelty book imprint, LB-Kids, Bonnie Bader, editor-in-c hief of Grosset and Dunlap and Price Stern Sloan, two imprints of the Penguin Young Readers Group and Diane Muldrow, editorial director at Golden Books/Random House and editor of the famous Little Golden Books. Hobnob with agents, Sarah Davies (Greenhouse Literary Agency), Erin Murphy (Erin Murphy Literary Agency) and Jill Corcoran (Jeff Hermann Agency) along with YA novelist Lisa Lee, picture book author and writing teacher Anastasia Suen and Kirsten Cappy, who owns the children’s author-illustrator marketing consultancy Curious City. Registration is still open for Something for Everyone, set for February 17-19 on the St. Edward’s University campus in Austin, Texas. For first place, from more than 300 entries from around the world, dePaola chose the scene composed by Yvette Piette Herrera for the Chicken Licken fable. 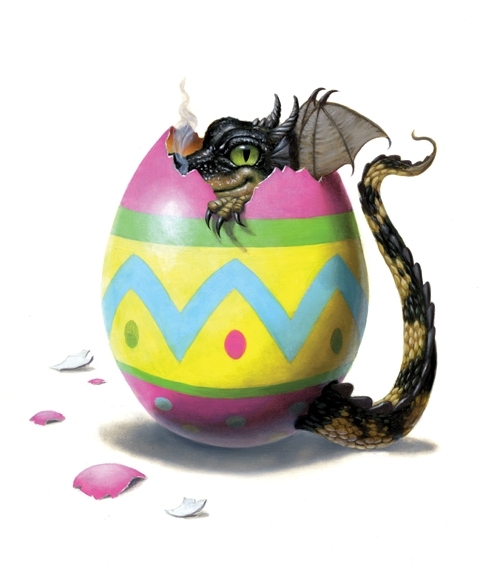 See Yvetter’s wonderful piece and the other winning submissions by Carrie Eko-Burgess, Rotem Omri and Lori McElrath-Eslick, along with Tomie dePaola’s comments on the SCBWI site. See more great work (178 of the contest submissions so far and counting) in a special “Unofficial” Tomie dePaola Awards blog initiated by Houston SCBWI illustrator coordinator Diandra Mae, including four pieces by Marks and Splashes students Joanna Strybosch, Catherine Jacobs, Cynthia Iannocone and Virginia Rinkel. Sign up here, start work on your pencil dummy drop by the #kidlitart Twitter chats at 9 pm (U.S. Eastern Time) every Thursday to visit with your creative colleagues. You’ll find additional challenge-related discussions on Twitter using the challenge hashtag: #PBDummy. Try to register for the challenge by January 15 to be eligible for the Agent Pitch contest at the end of the six months. The challenge extends to July 1. If you feel instead like concentrating on picture book story structure and writing, consider the 12 x 12 in 2012 Picture Book Writing Challenge. 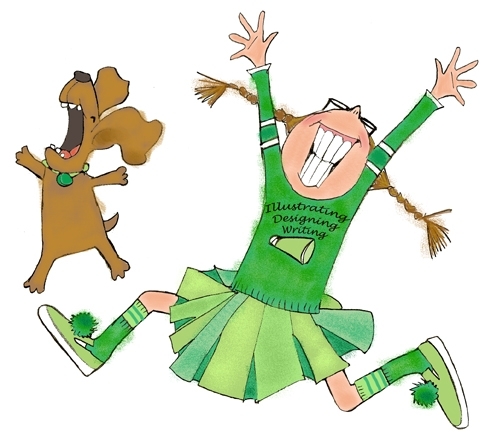 “Your mission, should you choose to accept it, is to write one picture book per month for each of the twelve months of 2012,” states challenge instigator, author Julie Hedlund in her blog, Write Up My Life. “This means a first draft: beginning, middle, end. NOT a submission-ready piece,” she says. Author-illustrator Jeff Crosby inscribes a book for illustrator Lalena Fisher, while his wife and co author-illustrator Shelley Ann Jackson chats with Lalena. Picture books by Austin SCBWI artists Jeff Crosby and Patrice Barton made the Texas Library Association’s 2×2 list for 2012. Wiener Wolf that Jeff wrote and illustrated and Mine! written by Shutta Crum and illustrated by Patrice made the top 20 books (winnowed down from 700 nominated titles) for children ages two through the second grade. Patrice’s illustrations for Mine! were also included in the Society of Illustrators 2011 National Exhibition in NYC. Both illustrators have been profiled on this blog and interviewed on video for the Make Your Splashes – Make Your Marks students. Elizabeth Bird, youth collections specialist for the New York City Public Library compiled her list of 100 Magnificent Children’s Books of 2011 in her blog, A Fuse 8 Production for School Library Journal. You don’t want to miss the 2011 Retrospective for Julie Danielson’s 7 Impossible Things Before Breakfast blog that includes interviews with Brian Selznick, Genevieve Cote, David Ezra Stein, John Rocco, Beth Krommes, Beth Ellis, Betsy Lewin and many others. And see the 2012 picture book preview by Kirkus Reviews. Check out “Tech Tuesday” posts on the new Girllustrators Tumblr blog and Just Picture This: A one stop blog for all things Children’s Illustration. News, events, links, articles and more— compiled by illustrators Diandra Mae, Casey G., Dani Jones, Kelly Light and Jez Tuya. 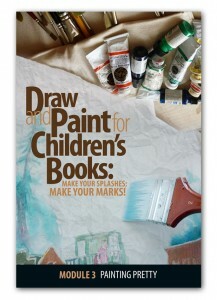 Many thanks to Sylvia Liu (illustrator, environmental attorney) for reviewing the Make Your Splashes – Make Your Marks! 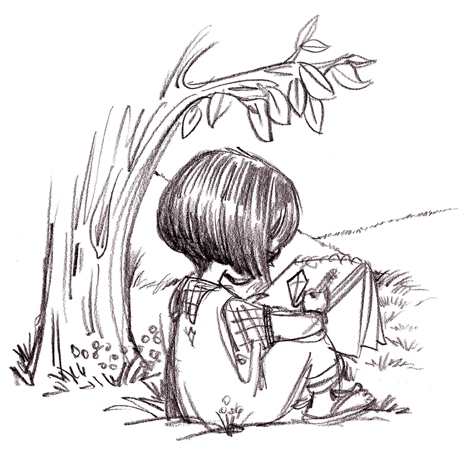 online course — and interviewing me on her richly informative kid lit art blog Sylvia Liu Land. Read the review. See some interactive digital books in action (videos) ofs in action and read about the latest InteractBooks Contest (prizes include iPads, an iMac and more) for artists and authors using the free InteractBuilder software. You’ll find more on the latest post, Stories that move and talk when you touch them on the lllustration Course blog. 1.) From idea to iTunes: Author-illustrator David Tribble walks us through how he created his children’s picture book for the iPad, Lord of the Scribes. See the 90 minute-replay. A presentation featuring children’s author Dan Byrne who won last year’s InteractBooks competition with his picture book on nutrition and gardening for kids, It’s Time for Carrots (illustrated by Jenna Matsalla) and the developers of the InteractBuilder software. Hear it here. Three more live Saturday sessions to go with InteractBuilder developers Ezra Weinstein and Richard Johnson teaching how to use their groundbreaking software. Replays of the previous trainings are available for only three more weeks. Find more information, temporary replay links and upcoming class registration links. Open source software for artists and illustrators, presented by architect and illustrator Jim Larson. Enjoy the replay. Erik Kuntz and Mark Mitchell demonstrate how to install thumbnail portfolios on WordPress blogs. Access the replay and videos. 6.) Is there a “best secret” to drawing? Find out here. Interior illustration by Keith Graves for his picture book, "The Three Gnarlies"
The demands are the same as for writing or illustrating a book: Something must come to life every time a reader turns a page. Except with a pop-up book, it really has to come to life. By definition. Things move, swing and unfold — hopefully with some grace and more than a few surprises. Like life. It’s done with scissors and scotch tape — and the benign wizardry that comes from years of conjuring castles and creatures and dances from paper. Bruce Foster received clues to his career’s direction back as a painting and graphic design major at the University of Tennessee in Knoxville — though he didn’t know it then. What he did know is that he liked gluing objects on to his canvases — to bring textures and dimension to his art pieces. He cut holes in them for the same reason. It led to more pop up gigs– for books, public relations and ad agencies, cards, more books, museums, a graphic novel, more books and eventually Hollywood! In addition to Disney and Dreamworks, clients and creative partners have included some of the world’s major CGI and digital animation studios, New York City fashion designers, a Top Chef pastry chef and the national park service. His 40 books to date are associated with such name authors and illustrators as Mo Willems, Wil Eisner, Charles Schultz, Charles Dickens and Chuck Fischer. One example of Bruce’s Hollywood assignments was creating the pop up castle that appears in the opening credits of the Disney movie “Enchanted.” To watch Bruce discuss his work with the movies and CGI animators, visit the Illustration Course blog. And now J.K. Rowling. On November 16, three days before the release of the”Harry Potter and the Deathly Hallows!” movie, the official pop-up book celebrating all of the movies from Warner Bros “Harry Potter” series will hit the stores wherever books are sold. So be on the lookout next month for Harry Potter- A Popup Book with illustrations by Andrew Williamson, lead concept artist for all of the movies, text by Lucy Kee and paper engineering by Bruce Foster. Paper engineers work with card stock and scissors to make a white dummy. Here’s a really good video from a Smithsonian Institution exhibit on the art and science of pop-up books, Fold, Pull, Pop and Turn that runs through October of next year. The video features Foster and another well known pop-up book artist Chuck Fischer working together on Fischer’s book Angels — and gives a great insight into the labor and thought-intensive process of creating a pop-up work — from earliest thumbnails to the assemblies of the printed books. “Whenever I make presentations or do school visits, kids and their teachers too are amazed to learn that pop-up books are a hand made craft and not manufactured by machines,” Bruce says. Before those puzzle pieces are printed and put together, an illustrator must paint them all. “It’s sort of like the paper and I work together and it emerges,” Foster says. “The process for me often starts with a sketch — sometimes in the form of a thumbnail,” Bruce says. The next step in the paper engineering is assembling the “white paper dummy.” It’s similar to a picture book illustrator’s black and white line dummy — except that it’s in 3-D and choreography occurs when pages are opened. When can we expect to see pop-up features on an i-Pad book? The challenge for digital animators and CGI folks, he says, is simulating the push of real paper against paper and the ‘ feel’ and proper timing of paper springing from flatness. It’s hard for programmers to imitate the real thing — pictures invading our space with that “theater in the round” experience that good pop-up books convey. He looks forward to the day when pop-up books transcend the digital screen to interact with us in holographic form. Paper engineer Bruce Foster of Houston has worked with some of the top children's book publishers, museums and movie companies to make paper imagery pop-out, unfold, unfurl and twirl. "Gutenberg's Gift" by Nancy Willard and illustrated by Bryan Leister uses Bruce's paper sculpture to show how the first printing press worked and tell the story of Gutenberg's contribution to the world. Bruce chats with Jon Evans, Director of the Hirsch Library, Museum of Fine Arts of Houston, during a special gallery talk, "The Interactive Book"
Take a sneak peak at Harry Potter – A Pop-Up Book, here on Bruce’s site. and a cool PDF history of pop-up books that you can download. "Harry Potter - a Pop-Up Book"
Author Sarah Sullivan addresses picture book writers at the "Picture Perfect" workshop hosted by Austin SCBWI. Austin SCBWI regional advisor Debbie Gonzales (left) moderates a "Picture Perfect" panel consisting of picture book and chapter book authors Lisa Wheeler, Stephanie Greene, Sarah Sullivan and author-illustrator Don Tate. Author Sarah Sullivan makes a point on the "Picture Perfect" Panel of children's book creators, while authors Lisa Wheeler, Stephanie Greene and Don Tate tune in. Sarah Sullivan chats with Dr. Ramsey Fowler, Dean of the Masters of Liberal Arts Program at St. Edward's University, which hosted theconference. Sarah Sullivan speaks in the morning session. Austin SCBWI Assistant Regional Advisor Carmen Oliver prepares to give away as a workshop door prize a copy of Bethany Hegedus's novel "Trouble With a Capital T" personalized by the author who stands beside her. Lisa Wheeler has written 17 books for children. Her most recent picture book for Atheneum is the hilarious Castaway Cats, illustrated by Ponder Gombel. Sarah Sullivan has written three picture books. 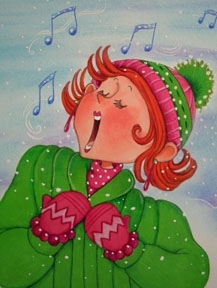 Her latest, Passing Music Down, published by Candlewick is forthcoming very soon. Learn more about Sarah on her website at www.sarahsullivanbooks.com. Stephanie Greene is a master of the series chapter book.She has earned Horn Book’s coveted starred review for her latest…Happy Birthday Sophie Hartley. Learn more about Stephanie at www.stephaniegreenebooks.com. Laura Jennings is an illustrator and gamer artist in Austin, Texas. 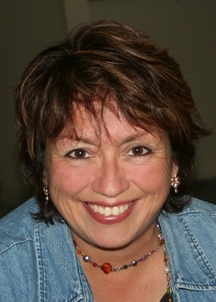 Debbie Gonzales is regional advisor of the Austin chapter of SCBWI. Carmen Oliver is assistant regional advisor of the Austin SCBWI. Bethany Hegedus is the author “Trouble with a Capital T” and other books for middle grade readers. For a great “secret” on drawing better click here. Article on Bruce Foster by Mark Mitchell. 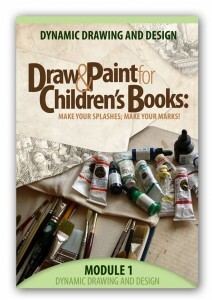 Children’s book author and illustrator Mark Mitchell hosts the How To Be A Children’s Book Illustrator blog. See more videos from Mark’s interview with pop up book engineer Bruce Foster at the Illustration Course blog. What publishing genre relies on art and pictures more than any other? Children’s book publishing, of course. But for a long time the professional organization of children’s book writers and illustrators did not have an illustrators’ spirit guide. The change began when picture book artist Tomie de Paola nudged his fellow board members of the then Society of Children’s Book Writers to add the “I” for “illustrators” to the organization’s title. And so SCBW became SCBWI. Then in 1998 the society introduced the country’s first children’s illustrators’ den mother. She was Priscilla Burris — illustrator, designer, picture book author and the former Regional Advisor of her own local SCBWI chapter. She’s talented, professional, vibrant and she speaks quickly. 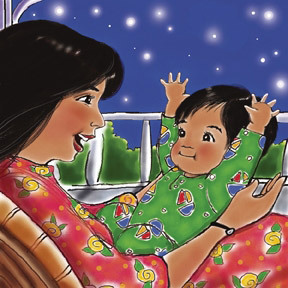 Over the past 25 years she’s illustrated educational, mass market and trade books and other materials for children, parents and teachers. 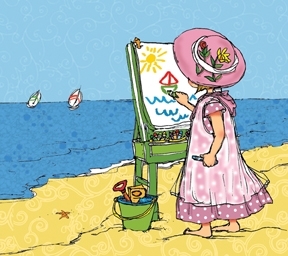 She’s also created art for products such as greeting cards, rubber stamps and apparel designs. 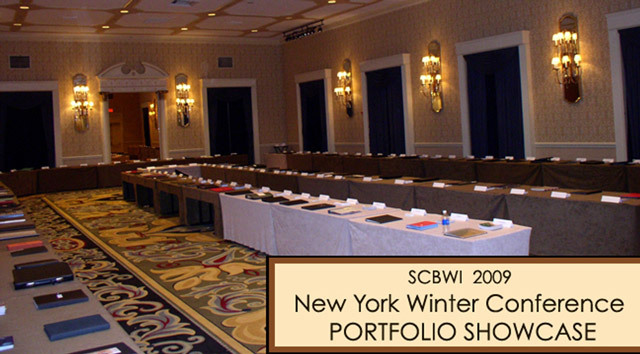 In her role as the SCBWI National Illustrator Coordinator, Priscilla organizes and oversees the portfolio exhibits and events for both the International Winter and Summer Conferences held in New York and Los Angeles. Along with speaking and presenting workshops around the U.S.A. she also addresses illustration related issues, questions and inquiries received by the SCBWI international office throughout the year. Working hand in hand with the SCBWI Board of Advisors Illustrator Committee, which consists of top industry professionals, Priscilla helps in planning the Illustrator Intensives, Socials and other illustrator-related activities. She spreads encouragement, advice and just plain good vibrations to her fellow SCBWI illustrator members wherever she meets them at conferences, workshops and activities — not to mention the online forums and list-serves. “At one point, I was firmly reprimanded for putting facial expressions on my drawings and models,” she says. “I was really scolded because expressions were not at all appropriate for that industry, so the instructor was absolutely right. Initially, Priscilla thought fashion illustration was the only career path available to a young woman who loved sketching, drawing and doodling. However, after obtaining her degree in Fashion Design, she went on to teach preschool, while at the same time earning a degree in Early Childhood Education. It was the final project for one of these courses that clinched it. 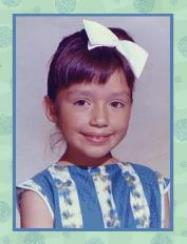 She was to write and illustrate a children’s book and read it to her classmates. Several thoughts ran through her mind when her final project was presented and warmly received, but the most delightful was, Could this be an actual job for an artist — creating illustrations for children’s books? Her first illustration assignment came as a result of a drawing of a little girl happily sketching, printed on her business cards, which had been posted in a local graphic design shop. It caught the attention of an educational publishing editor who saw it and put her to work. “As a result of this fresh beginning of representation and focus of our illustrator membership nationally and internationally, we began to see the appointing of local regional Illustrator Coordinators, or Liasons, as being very insightful and helpful illustrator member-links to their Regional Advisors,” Priscilla says. Of the total number of members around the world, 16,865 identify themselves as writers and 4,748 identify themselves as illustrators. Networking takes place on a global community listserve that Priscilla moderates, along with Bridget Strevens-Marzo, who serves as the SCBWI International Illustrator Coordinator. 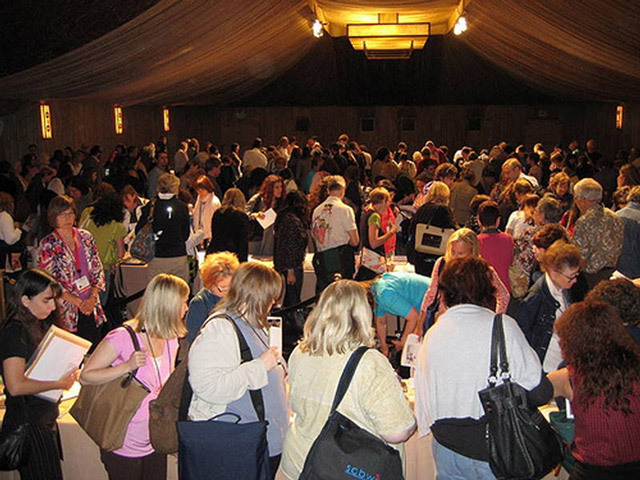 Portfolio showcase at the SCBWI National 2009 Summer Conference in Los Angeles, Photos courtesy of Priscilla Burris. So, who better to ask than Priscilla Burris this question. What does membership in SCBWI offer an illustrator or aspiring illustrator? “It offers a professional community where you can grow — and it offers a hand to help if you’re willing to take it, and apply what you’ve learned.” she says. “Although there are many different organizations and associations for artists and illustrators, specifically for children’s books, the SCBWI is the place to be. “Here there are widely known and highly esteemed authors and illustrators, editors, art directors, and agents with wisdom to share. 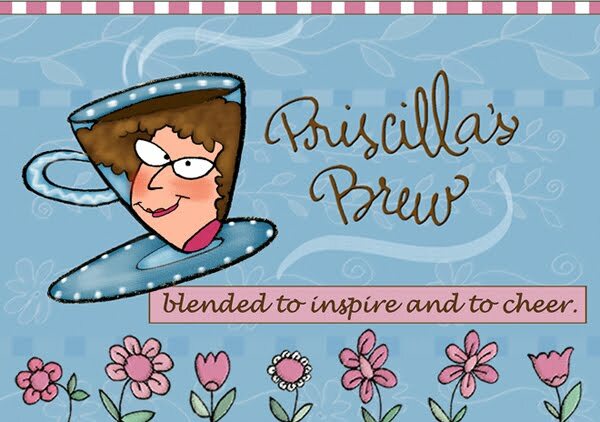 The SCBWI offers a vast array of opportunities where an illustrator can grow and learn and be challenged in his or her career,” Priscilla says. “From the events, workshops, and critique groups taking place on a local level, to the international conferences held every year, so much can be gleaned that can move you further in your professional life as a children’s book illustrator. “These are venues where you can meet and make contacts with like-minded creatives and hear the latest information on the industry from the speakers and presenters. A lot of information and networking takes place just from meeting and chatting with other event attendees! “The SCBWI website offers great opportunities for illustrator members to feature their own images and portfolios in the Illustrator’s Gallery — A truly inspiring place to visit. Since one function of Priscilla’s role as SCBWI National Illustrator Coordinator is teacher-mentor-spirit guide, let’s not let her get away without asking her for a few nuggets of her professional advice. 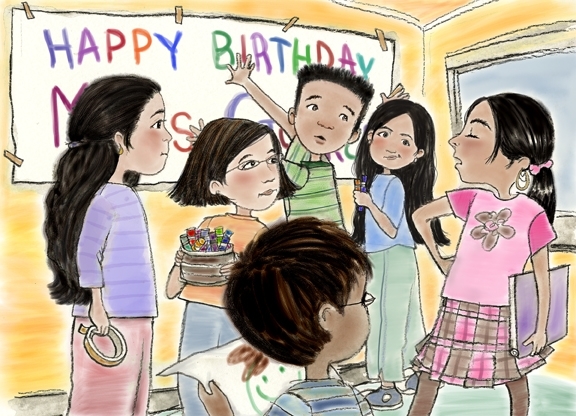 “Know the characters you are illustrating inside and out — their traits and personalities. “When I am developing a character, I like to get to know a character visually, by creating five or six versions and then set them aside where they can be seen as I walk by. 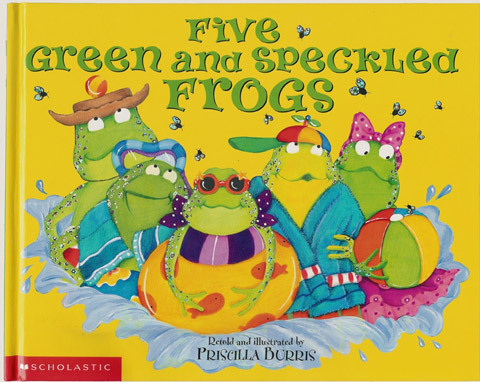 This is what I did for my book Five Green and Speckled Frogs. “I drew several variations of my frogs. I was afraid they were getting a little too goofy. I wanted them funny but not goofy. They ended up in the final book pretty close to how they were in the first version, but more further developed in the process. Her works include Five Green and Speckled Frogs (Scholastic), which she wrote and illustrated, I Love You All Day Long, and Daddy All Day Long (HarperCollins), written by Francesca Rusackas. She’s represented by artists’ agent Christina Tugeau. In the next post we’ll be asked to put our collective creative heads together. In this blog’s first ever reader poll, we’ll be helping talented New York illustrator Lisa Falkenstern and her editor to choose a title for Lisa’s new picture book. So please stay tuned — and be ready to brainstorm. Mark Mitchell hosts the “How To Be A Children’s Book Illustrator” blog and he offers an online course on children’s book illustration that you can learn about here..
He’s the Illustrator Coordinator for the Austin, Texas Chapter of SCBWI. To enlarge the video for better visibility, click on the Google Video box, then hit the enlarge screen button under the video on the Google Video page. 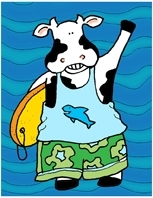 For information on the online Children’s Book Illustration 101 course” look here. When is it OK for adults to criticize other adults? Answer: At a portfolio critique session, of course. 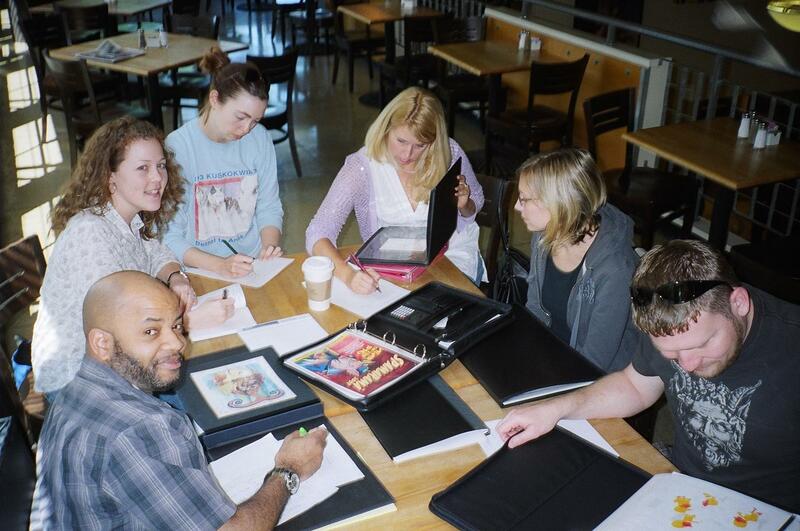 Some members of “The Inklings” picture book critique group review their portfolios at a pre-conference “emergency session” at Austin’s Central Market Cafe in April. One of many critique groups in the Society of Children’s Book Writers and Illustrators (SCBWI) Austin Chapter, these “Inklings” were preparing to have their work examined by their peers and artists’ agent Christina Tugeau at the Austin SCBWI Spring Conference that Saturday. Left to right around are illustrators Martin Thomas, Diandra Schwartz, Amy Farrier, Austin SCBWI Illustration Chair Christy Stallop, Sarah Ackerley and Clint Young. Thumbs up, down or sideways? It was the nonverbal language of the portfolio huddle. Christy Stallop, author, creator of humorous illustrations and the Austin SCBWI illustration chair initiated the Sunday morning “emergency session” review. It would be an RX for those with portfolio jitters before the regional Spring conference that was set for that Saturday. All right, review may be too milquetoast a word for what came down at the cafe amid sleepy tables of taco breakfasters and laptop mullers. 2.) Don’t worry too much about “rules” of portfolio presentation or format. Use your common sense. 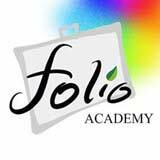 But do find a way to present and organize your portfolio so that it makes good sense for your work. For example, have all of your art pieces lining up the same way in the album so the viewer doesn’t have to turn it this way and that way to examine pieces right side up. Grouping is nice. It breaks things up in a nice way for a better read and gives the viewer a bit of a rest, too, going through. 3.) Get business cards professionally printed before an event such as an SCBWI conference. (Christy expressed this a little more emphatically to me than that.) If you don’t have a print shop handy and you need the cards fast, try a place like Overnightprints.com. They have plenty of templates on their website that you can use to hastily throw together your card — and still it won’t look like an amateur effort. Yes, you will pay to have the cards sped to your doorstep. 4.) Yes you may include a few of your “tearsheets” or color photocopies of your published work. But carry some of your best original art to a print shop and have it professionally scanned there. If you’ve scanned your own artwork at home (make sure the resolution is nothing less than 300 dpi) bring your flashdrive or CD to printshop to have the piece professionally reproduced. Choose a matte rather than gloss finish. Yes, it is expensive to make these professional scans. If you must economize, use just a few as your portfolio showstoppers. 5.) Remember you’re showing your art to editors and art directors in the children’s book industry. So consider this in your selections. Kids, animals, people — especially in action. are good. Duh. Industrial art, however well done, should probably go. Same with the techy-looking digital game art, graphic design, most cartoons, album covers, machinery, cars, monsters, sci-fi, architecture (real or fantasy), space ships, nudes from art classes… Thumbs sideways. The How To Be a Children’s Book Illustrator blog is offering four months of free online instruction for anyone who clicks here — and answers the survey question they see on the screen. Good deal, huh? The offer is only good through June. So click now if you’re interested. The first lesson goes out about the end of the month.